Huff lettered three times in football as a prep at Chatfield High School in Littleton, Colo. … Named First Team All-Conference as a senior… Named the Special Teams MVP as a senior… Named First Team Academic All-State as a junior and senior… Led team to the Colorado State Playoffs as a junior and senior… Member of the Red Bull 7-on-7 Colorado Champions as a senior… A four-year member of the honor roll. HIGH SCHOOL AND PERSONAL DATA: Jacob earned two varsity letters in football at Chatfield Senior HS in Littleton, Colo…all-conference honorable-mention in season as a cornerback…son of Diana and Anthony Martinez…intended major is Undecided. Coach Tetrault's Take: "Jacob is a big, long cornerback. He has good speed and is very physical with a lot of potential, we are encouraged by his ball skills as well." Prep: Played for the Chatfield HS Chargers under Bret McGatlin… Team was second in league in 2012… Received second team All-Conference in 2013… Also ran track and field... Academics: Is majoring in pre-engineering… Graduated from Chatfield HS in 2013.Off the Field: Born 01/05/95… Son of Jim and Gretchen Moser… Has two siblings Annie who is 15, and Sarah who is 14… Enjoys video games, and hanging with friends… Favorite movie is warrior… Favorite food is Chipotle burritos… Favorite professional sports team is the Denver Broncos. UNLV: A still-developing blocker who will look to earn his first playing time this fall along the offensive line ... Listed No. 2 at left tackle spot behind Brett Boyko heading into the season ... The first scholarship player recruited by UNLV out of Colorado since former QB Kurt Nantkes (2001-04) ... Rated a three-star prospect by Scouts, Inc., which also listed him as the No. 97 OT in the nation ... Last name is pronounced "NO-vo-sell." 2011: Redshirted season after joining the program in January and going through his first spring practice. 2010: Grayshirted after signing with UNLV in February. HIGH SCHOOL: A 2010 graduate of Chatfield Senior HS ... Lettered three times under coach Bret McGatlin ... Helped the Chargers to a 6-4 record and a trip to the state playoffs in 2009 ... Earned All-Colorado and All-5A honors as an offensive lineman in 2009 ... Also played along the defensive line ... Lettered in lacrosse at CSHS as well. PERSONAL: Alexander Mackenzie Novosel was born on Aug. 5, 1991, in Littleton, CO ... The son of Katy and Tom Novosel ... Has an older sister, Tori ... Majoring in business. AT COLORADO: This Season (Soph. )-Enters the fall listed second at tight end. He improved during the spring, and caught three passes for 32 yards in main scrimmage action.2011 (Fr.-RS)-He saw action in seven games on offense and special teams (one start, versus Washington State when the offense opened in a two-tight end set),. He did not have any receptions, but had one knockdown block on kickoff return unit duty. He had a solid spring, catching five passes for 68 yards and two touchdowns in the three main spring scrimmages. Three of those receptions for 50 yards came in the spring game, including touchdowns that covered 22 and seven yards. 2010 (Fr. )-Redshirted; practiced the entire fall at tight end. He was the Scout Team Special Teams Award winner for the Georgia game.HIGH SCHOOL-The first signee to commit in June of 2009, he earned All-Region honors from PrepStar andSuperPrep, where he was ranked as the No. 48 player from the midlands and was the third tight end on that list. 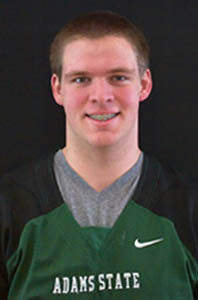 He was one of seven tight ends named to the prestigious Tacoma News-Tribune Western 100 list. Rivals.com ranked him as the No. 11 player from Colorado while Scout.com ranked him the No. 45 tight end and ESPN ranked him as the No. 53 tight end in the country. UW This Season: With a background as a quarterback, Stratton will serve as a holder on field-goal attempts. 2012: Stratton missed the 2012 season as he recovered from an injury he suffered in winter conditioning that resulted in surgery.2011: Stratton transitioned to a hybrid wide receiver/tailback position for the Cowboys this fall and played in five games. He has served as holder for PATs and field goals for those five games. He took snaps in Wyoming's version of the "Wildcat" offense, primarily against Boise State, when he carried the ball 14 times for 54 yards. He also had three receptions for 28 yards.High School: Stratton came to the University of Wyoming from Chatfield High School in the Denver suburb of Littleton, Colo., where he was a four-year starter at quarterback. He earned Honorable Mention All-State Class 5A honors from The Denver Post as both a junior and senior. 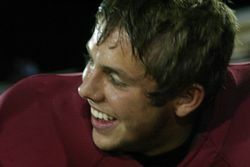 Stratton concluded his high school career as Chatfield's career leader in total offense with more than 5,000 yards of total offense, including more than 3,600 passing yards and nearly 2,000 rushing yards. Jordan Smith - Colorado School of Mines.